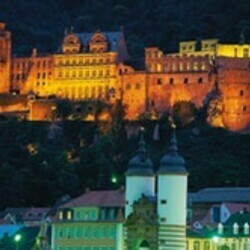 Heidelberg – known around the world for its famous castle, its international flair and the pulsing rhythm of life in the Old Town. The shopping zone, one of the longest pedestrian zones in Germany, goes right through the middle of the Old Town where bistros, cafes and exclusive shops are strung together like pearls on a string. But there are surprises waiting around every corner in the side streets as well. Starting with antique dealers but not forgetting trendy boutiques and the world famous Heidelburg Zuckerladen and Studentenkusshaus.